She's still a 12-year-old girl in his eyes! Juliana Gomez, unica hija of celebrity couple Richard Gomez and Lucy Torres-Gomez, celebrated her 18th birthday this year with a disco-themed party. Her mom even gave her a special letter which was written back in 2002! We've always gushed at how close Juliana is to her parents (they even walked the ABS-CBN Ball red carpet as a trio). 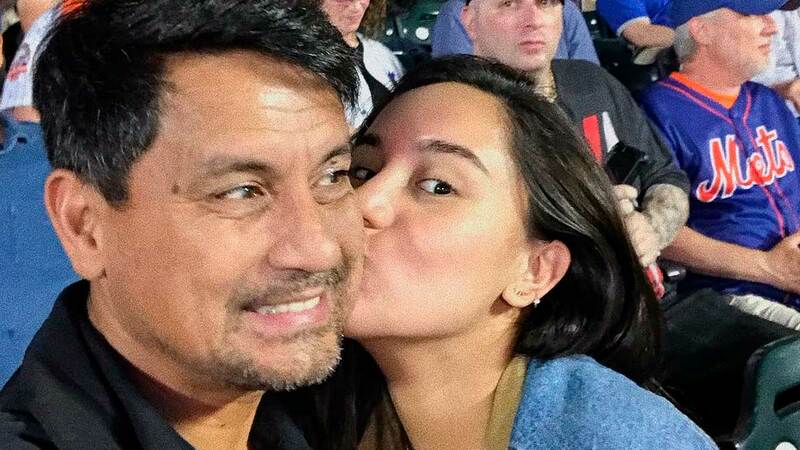 Juliana's dad Richard recently shared a funny—and adorable—incident on Instagram: he forgot that she was already 18! According to Richard's caption, he sent Juliana a poster for a volleyball league and even called her to make sure she saw it. Here's the plot twist: "Once on the phone, she told me that the competition was for 12 years and below only. Then she reiterated that she was already 18 years old! OMG! I was in time zone talaga all the while because I thought she was still 12 years old. Ito talaga yung 'how time flies so quickly...'"
OMG. This is too cute for words. To be honest, our dads have done this at some point too, right? Richard's post is making us want to call our dads right now for a virtual hug.